Get accurate Gritter monitoring data straight from the control box of your Gritters! Extracting RS232 data from the control box you will know what the Gritter is doing at any given time, day or night! 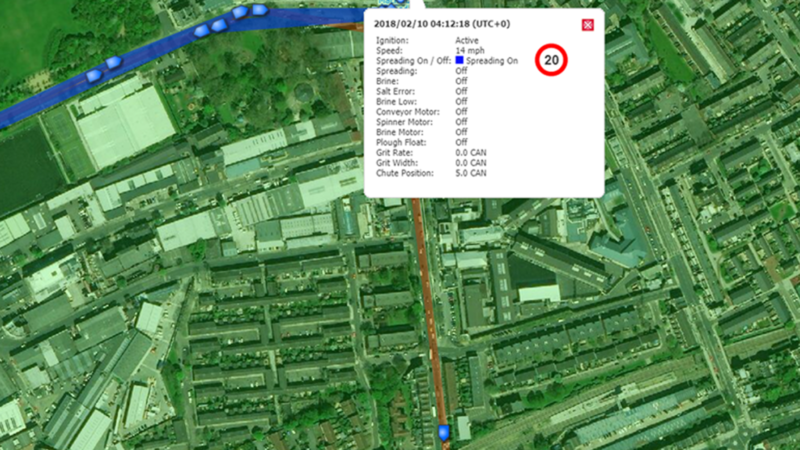 GPS and GPRS tracking will show the routes taken as well as a colour coded bread crumb trail of gritting on or off, for each individual vehicle, showing you what’s happening at a glance! Improving the utilisation and efficiency of the Winter Maintenance schedule and helping to keep your Winter Service vehicles working at optimal levels during the season. Know exactly what’s happening in real-time!